1. 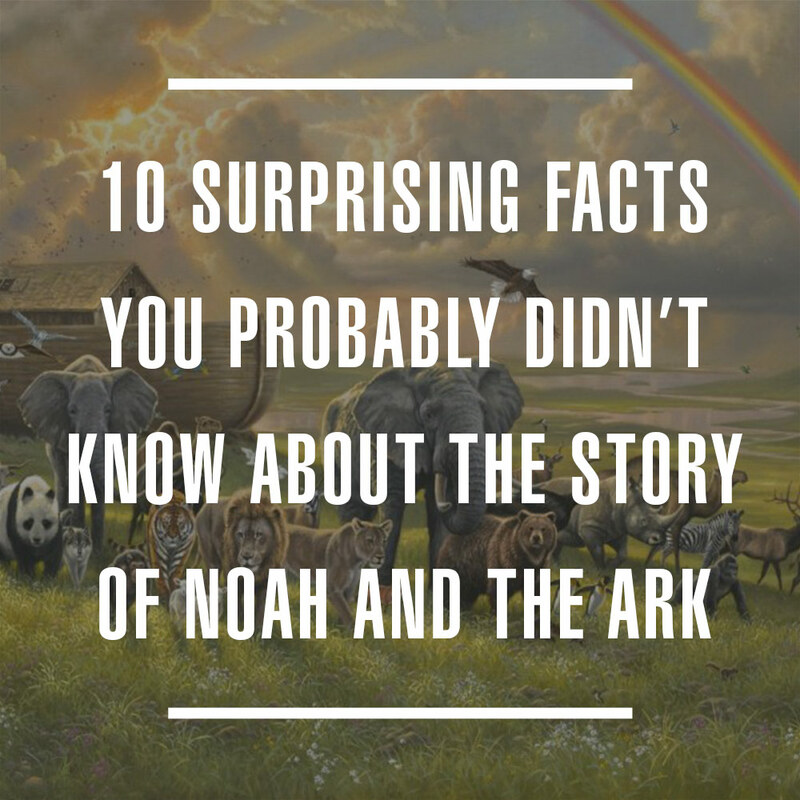 The story of “Noah and the ark” spans Genesis 5 to Genesis 9. Though some of Noah’s life spans beyond Genesis 9, the story of the flood ends around Genesis 9:19. Verses 20-28 get a little weird. Read it. You’ll see what I mean. Genesis 5 is a bunch of genealogies. Normally, I find genealogies extraordinarily BORING, but in this case that chapter is super interesting (more on that below). Genesis 6 describes the state of the world around Noah’s time, along with God’s calling on Noah’s life, while Genesis 7-8 is mainly about the details of the flood. 2. Adam likely knew Noah’s father, Lamech. If you assume that “so and so BEGAT so and so” means “so and so WAS THE FATHER of so and so,” then Adam lived for 56 years after Lamech was born and died 126 years before Noah was born. HOWEVER. . . the original Hebrew that is translated “begat” in this passage means both “begat,” and “begat an ancestor of.” This means that there could have been additional generations between the few lives shown in Genesis 5. In other genealogies in the Old Testament, this is the case—that two genealogies are the same in two different areas of Scripture except one leaves out several generations. I’ve talked to a few people (my dad included) who hold militantly to the idea that you can judge how old the earth is by counting up the years in the genealogies. But those other genealogies prove that if you believe in the inerrancy of Scripture, you just can’t be 100% certain that you can simply add up the years in the genealogies to arrive at an absolute count of how much time has gone by since God made the world. We. Just. Don’t. Know. And that’s perfectly fine. 3. Noah’s great grandfather, Enoch, is one of only two people in Scripture that never died.“Enoch walked with God after he fathered Methuselah 300 years and had other sons and daughters. Thus all the days of Enoch were 365 years. Enoch walked with God, and he was not, for God took him.”–Genesis 5:22-24 And if any of you doubt that those verses are claiming that Enoch never died, Paul writes the following in Hebrews 11:5, “By faith Enoch was taken up so that he should not see death, and he was not found, because God had taken him. Now before he was taken he was commended as having pleased God.” Enoch is mentioned again in Jude 14, where he’s claimed to have prophesied about the Lord’s second coming. If this is true, Enoch is likely the world’s first prophet. 4. Noah’s grandfather (and Enoch’s son) was Methuselah, the oldest recorded living person in history. If we trust the genealogies to be exact, Methuselah died the exact year of the flood. His name even means, “his death shall bring judgment.” (Muth, a root that means, “Death,” and shalach, which means “to bring,” or “to send forth.” Thus, his name means, “his death shall bring judgment.”) It’s also fitting that Methuselah’s lifespan, which signified God’s coming judgment, is the longest lifespan in recorded history, to symbolize the extreme lengths of God’s mercy. 5. Noah’s name means “rest and comfort.” Because through him, God would bring rest to the world—rest from the constant sin burning in the hearts of evil men. In addition, Lamech’s prophecy over Noah’s birth connects back to Cain’s sin, when he murdered Abel and God cursed the ground.“Out of the ground that the Lord has cursed, this one shall bring us relief from our work and from the painful toil of our hands.”–Genesis 5:29b So—and this was just a tad bit mind-blowing to me after writing CAIN and linking CAIN with FLOOD the way I did—Noah’s faithful love for God is even seen as reversing the repercussions that Cain’s sin put into motion. 6. Water baptism, which is symbolic of man accepting God’s mercy, finds its roots in the most violent of God’s judgments. The Bible repeatedly connects God’s judgment with his mercy. In the New Testament, the apostle Paul claims that God disciplines those that he loves, and that his reproof is proof of his love. “For the Lord disciplines the one he loves, and chastises every son whom he receives.”–Hebrews 12:6 Paradoxically, mercy is often portrayed in the Bible as a form of judgment. “To the contrary, ‘if your enemy is hungry, feed him; if he is thirsty, give him something to drink; for by so doing you will heap burning coals on his head.’”–Hebrews 12:20 That verse in Hebrews is a direct quote of Proverbs 25:21-22, and in the Old Testament, burning coals are always used as a form of punishment. So, we see mercy as judgment and judgment as mercy. A strange concept to our western minds, but according to the Bible, mercy and judgment are actually two sides of the same coin. One cannot exist without the other. And so we see God’s judgment of the world in the story of the flood as merciful, and we see God’s mercy toward Noah as a form of judgment—for God judged Noah as righteous in his eyes (Genesis 6:9). We can also, then, see water baptism as a form of both judgment and mercy. Pretty interesting! 7. The story of Noah and the flood is about God’s justice and mercy being executed through a new beginning patterned after the original creation story in Genesis 1. God is wiping the world clean so that he can remake the world. All the land is recast by the violence of the worldwide flood. All the waters are changed. All the animals, save for a select few, are destroyed. All the plants are destroyed and must regrow. Every human being aside from one family faithful to God is destroyed, so that the world might begin anew in close communion with the Creator—just like how the world started with one family in close communion with the Creator. 8. The flood happened because men pervasively denied God. In Luke 17, Jesus claimed that at the end of days, men would act as they did in Noah’s day. “They were eating and drinking and marrying and being given in marriage, until the day when Noah entered the ark, and the flood came and destroyed them all.”–Luke 17:27 Notice that men are focused completely on their own lives. They are building their own empires. There is no mention of them walking with God, or worshiping God, or of them even thinking about God. Jesus mentions no direct sin, but the lack of focus on God indicates that their sinful behavior was a direct result of not walking in close communion with God. He implies that they worshiped themselves instead of God, and because of that God gave them over to a debased mind. Likewise, Genesis claims that what set Noah apart was that he “walked with God” (Genesis 6:9), just as his great-grandfather Enoch “walked with God.” Though the net result was that Noah lived a righteous life whereas everyone around him lived a wicked life, the defining difference was not moral, but instead was spiritual and relational—just as we see in the New Testament gospel of faith in Christ. 10. Noah wasn’t saved because he was righteous. Noah was saved because he loved God. I’ve heard so many preachers get this wrong (and that’s nothing against preachers!). The Old Testament and the New Testament should not be so divided in our minds. The old covenantal system of animal sacrifices set up with Abraham was never intended to actually take man’s sin away—otherwise why would Christ’s sacrifice be necessary? In many places in the Old Testament, God does not view animal sacrifices as actually working in themselves, but only as a means to urge us to honor God with our hearts. “‘What to me is the multitude of your sacrifices?’ says the Lord; I have had enough of burnt offerings of rams and the fat of well-fed beasts; I do not delight in the blood of bulls, or of lambs, or of goats.”–Isaiah 1:11 “In sacrifice and offering you have not delighted, but you have given me an open ear. Burnt offering and sin offering you have not required. Then I said, ‘Behold, I have come; in the scroll of the book it is written of me: I delight to do your will, O my God; your law is within my heart.’”–Psalm 40:6-8 As we see in the book of James, faith is made real through action. Fulfilling the Old Testament covenant with Abraham was a way for Israel to make their faith real. Stated another way, animal sacrifices were just a means of consummating love for God. Nothing more. Animal sacrifices never actually atoned for sin—only Christ’s sacrifice did that, and it was enough. God merely showed Israel mercy when they remained faithful, and only because Jesus was already pre-destined to come and bear the world’s sin. The animal sacrifices were a foreshadowing of Christ’s sacrifice, just as Noah was a foreshadowing of the true savior. Christ’s sacrifice was retroactive through all of history. “Now faith is the assurance of things hoped for, the conviction of things not seen. For by it the people of old received their commendation. By faith we understand that the universe was created by the word of God, so that what is seen was not made out of things that are visible. 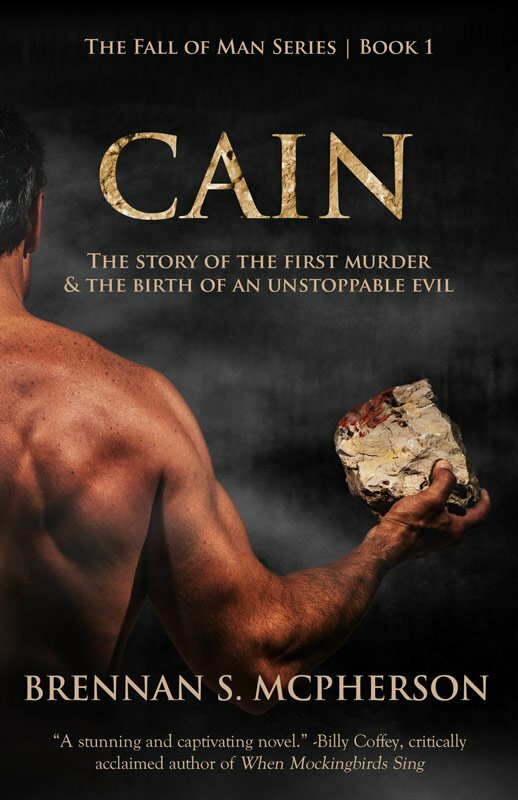 By faith Abel offered to God a more acceptable sacrifice than Cain, through which he was commended as righteous, God commending him by accepting his gifts. And through his faith, though he died, he still speaks. By faith Enoch was taken up so that he should not see death, and he was not found, because God had taken him. Now before he was taken he was commended as having pleased God. And without faith it is impossible to please him, for whoever would draw near to God must believe that he exists and that he rewards those who seek him. By faith Noah, being warned by God concerning events as yet unseen, in reverent fear constructed an ark for the saving of his household. By this he condemned the world and became an heir of the righteousness that comes by faith.”—Hebrews 11:1-7 Literally all of Hebrews chapter 11 is dedicated to proving that everyone is saved by faith, even all of the Old Testament patriarchs. So, if you don’t see Christ in the Old Testament, it’s time to read the Bible in greater detail. The process of writing a novel based on the story of Noah and the ark has been a huge wake-up call for me to study the Bible in a deeper way. Before working on the book, I didn’t know any of this stuff! But how cool is it that we can learn it together? That’s my hope for this book! I pray that it inspires you to love God more deeply. Because writing it did that for me. Hi Brennan, He Whose Name Absolutely Looks Like An Author’s Name: This is a fabulous post, lots of meat, and your website is beautiful. Congratulations on the upcoming book; I just preordered. I too am fascinated with the Noah thing. Maybe we can Message or email sometime about a few other reasons some suggest for why God had everybody but eight people perish in the flood. That’s wonderful! I’m so glad, Regenia! That’s the ultimate accomplishment for a novel. LOL i loved the part of the True love.